This film is a short history of small-scale hydro generating plants including interviews with advocates of alternate energy who are promoting this alternative to power megaprojects. 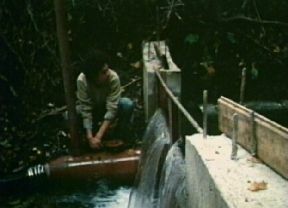 It documents the process of installing a low head, hydroelectric system for domestic use on the filmmaker's rural homestead in Mabou, Cape Breton. The film traces the history of this alternative source of energy through archive footage, still photography and visits to operating units of various sizes including household and domestic units. People interviewed for the film include manufacturers, consultants, and small-scale operators. The filmmaker draws from his personal experience of what it was like to develop his own hydro unit from conception to the production of power. An award winner at the Atlantic Film Festival. In November 1983 Water Power was featured in "What's Happening?" 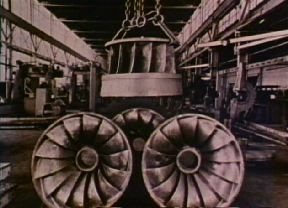 a weekly series of new films of provocative social and political interest at the Museum of Modern Art in New York City.